The Canola Council of Canada, on behalf of growers and the entire canola value chain, is working closely with the Government of Canada to resolve challenges facing canola seed exports to China. Please join us this Thursday for a webinar presentation from Jim Everson, Canola Council president, that will provide information to growers on trade with China and address questions and concerns. 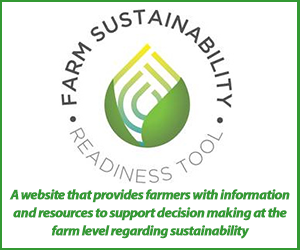 Growers will have the opportunity to submit their questions and concerns when registering. After registering, they will receive information about how to join the webinar by phone for audio only or through a computer to see Jim Everson speaking. Those who join the webinar from a computer can also submit questions during the event. The webinar will not be recorded. Those who can’t attend the webinar can view our centralized information resource below, which will be updated as the situation evolves. What is the current situation affecting canola seed exports to China? Chinese importers are currently unwilling to purchase Canadian canola seed from any exporters at this time, and China has officially taken regulatory action to suspend the licenses for Viterra and Richardson for canola seed. Canadian exporters must be licensed in order to export canola seed to China. Does this affect canola oil and meal exports? Canola oil and meal are not subject to the same challenges as seed. Canola meal and oil continue to be shipped to China. What are the license suspensions based on? China has indicated they have a quality concern with Canadian canola seed related to specified quarantine pests that include weed seeds and plant diseases. These are identified in the public notices of non-compliance issued to Richardson and Viterra by China’s customs agency. The Canadian Food Inspection disagrees with the assessment of China’s customs agency. Technical discussions about these pests of concern have not indicated that an immediate resolution is possible. 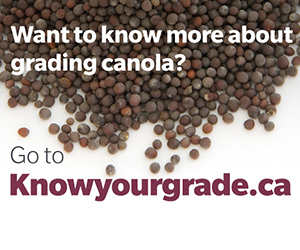 We are confident in the quality of Canadian canola. Our canola consistently meets the requirements of countries around the world. Has a third company been suspended? A third company has been issued a notice of non-compliance but not a suspension of their export license. Non-compliances are issued directly from China’s customs agency to the company involved and the Canadian Food Inspection Agency. This information is confidential, and shared only between the company and the Government of Canada. What does this mean for existing contracts and deliveries? Grain handlers have confirmed they are honouring all contracts for seed delivery, though this may involve some delays in delivery to the grain elevator. For contracts where a grower does not have the grade contracted for delivery, the grower will need to work directly with their grain buyer. What does this mean for new contracts and deliveries? China represents approximately 40% of canola exports and no sales of seed to China are occurring. This impacts the demand for and value of canola. Canola seed exporters are looking to supply customers in other countries such as Japan, Mexico, Europe, Pakistan, the UAE and Bangladesh, who value high quality Canadian canola. 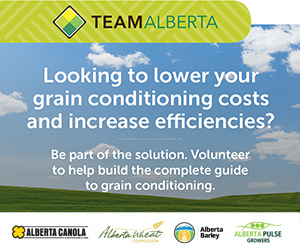 Growers are encouraged to contact their local grain buyer to discuss marketing options. For those managing longer-term storage of canola, the Canola Council’s Canola Encyclopedia offers a comprehensive resource of best management practices for safe, on-farm canola storage. Should growers cut back on seeding intentions in 2019? Growers, as always, need to make their own choices, and consider many factors when making seeding decisions. We believe the fundamentals of trade with China are strong – we have an industry strategy to ensure a sustainable and growing supply of high quality canola in Canada, and growing demand in China for high quality oil and protein. We have a challenging situation in China at this time but believe the basis for trade in canola between the two countries remains solid. How is the Canola Council responding? The Canola Council, which includes growers, continues to work closely with the Government of Canada to find science-based solutions and resume stable trade as quickly as possible. The Government of Canada has acted quickly, and is engaged at the most senior levels to resolve the issue. This has included numerous interactions between the Canadian Food Inspection Agency and their Chinese counterpart to resolve quality concerns that have been raised, including a request for a high-level mission to intensify science-based discussions. Technical discussions with China are required to resolve technical concerns. 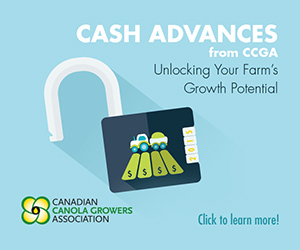 Since March 1st, the CCC has spoken with the prime minister, the foreign affairs minister, the trade minister, the federal agriculture minister as well as both the Saskatchewan and Manitoba agriculture ministers, emphasizing the importance of resolving the issue for the whole Canadian value chain, including growers, and how this affects all Canadians. The CCC is also co-chairing the Government of Canada working group on canola. We will continue our efforts to focus attention in Ottawa on resolving this issue as quickly as possible. Who is involved in the Government of Canada working group on canola? What is its role? The working group is co-chaired by the deputy minister of Agriculture and Agri-Food and the president of the Canola Council of Canada, and includes the president of the Canadian Food Inspection Agency, the president of the Canadian Canola Growers Association, deputy ministers from the provinces of Alberta, Saskatchewan and Manitoba as well as other senior government and industry officials. The working group is focused on collaborating to find a science-based solution to resolve this issue as quickly as possible. The group is also discussing future opportunities to expand into new markets for canola, and support available to affected producers. For more information, read the update from the inaugural working group meeting on April 4. What are the next steps that the Canola Council is recommending? Complete a technical mission to China as soon as possible. As part of normal procedure, Canada has requested that a high-level delegation to Beijing be received by China to intensify science-based discussions. We urge China to accommodate this request as soon as possible. If China does not accommodate this request, we urge the Government of Canada to work with the industry and take all possible measures to resolve this situation and restore market access. We recommend the appointment of an ambassador to China at the earliest opportunity. Canada has an outstanding foreign service, including at our embassy in Beijing. However, an ambassador has a unique role as Canada’s most senior representative and it is appropriate that Canada appoint an ambassador to this significant export market. Through the Government of Canada working group, we are looking at a wide range of options to restore the China market, engage alternative markets and support canola producers dealing with significant market uncertainty.